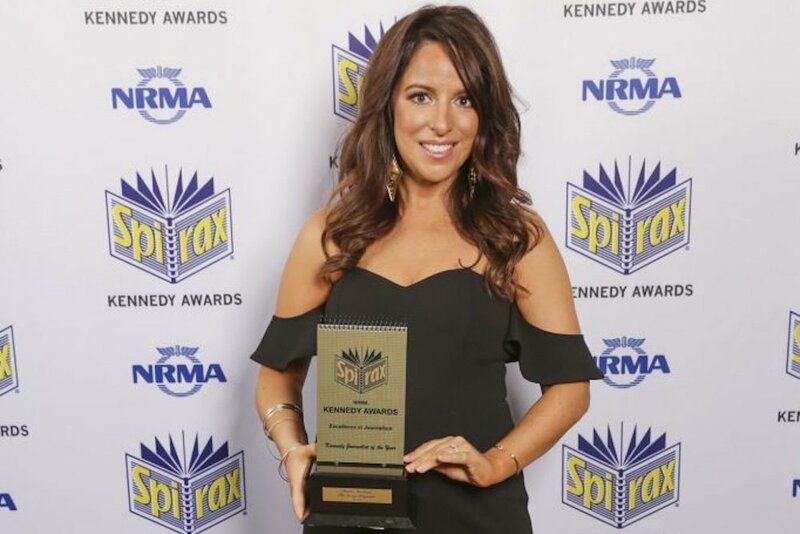 The Daily Telegraph’s Sharri Markson has won the 2018 Kennedy Prize for Journalist of the Year for her coverage of the political scandal around former Deputy Prime Minister Barnaby Joyce’s affair with a staffer and the subsequent cover up. Markson is the first News Corp journalist to take out the $25,000 prize established in 2011 to commemorate the late Sydney crime reporter, Les Kennedy. In awarding the prize to Markson, the Kennedy Foundation judges wrote: “She has repeatedly set the national news agenda and shaken the political establishment with a series of big exclusives using sheer determination and careful cultivation of contacts to break from the pack. Markson was appointed The Daily Telegraph’s national political editor in September 2016 after serving as The Australian’s media editor where she became known for her aggressive pursuit of stories involving the ABC, Fairfax Media and broke the story around then Fairfax columnist Mike Carlton’s abusive tweets to members of the Jewish community, which eventually led to him leaving the company. Prior to The Australian she was the editor of Cleo and before that was a chief of staff at the Sunday Telegraph and a senior producer at Channel Seven. The Kennedy Foundation’s judges also cited Markson’s scoops for The Daily Telegraph also included the story behind the downfall of Border Security chief Roman Quaedvlieg as well as an expose on how the NSW Rural Fire Service refused help from professional brigades as the town of Tathra was devastated by blazes in March. Previous winners of the award include Fairfax’s Adele Ferguson, the ABC’s Caro Meldrum-Hanna and Nine News reporter Chris O’Keefe who won the 2017 prize. Sponsors NRMA announced the renewal its sponsorship last year. Markson also took out the Outstanding Political Journalism award and shared the Scoop of the Year Award with colleague Kylar Loussikian ahead of previous winners, The Sydney Morning Herald’s Kate McClymont, and Fairfax’s Nick McKenzie. Overall News Corp was the biggest winner with its journalists and photographers taking out 14 awards while Fairfax collected nine. The ABC won two while SBS Viceland took out the Outstanding Nightly TV Current Affairs Award. Jana Wendt received a Lifetime Achievement Award while 7 News Sydney’s David Richardson was awarded the Cliff Neville Award for Outstanding Team Player. Kennedy Foundation chairman, Simon Dulhunty, said: “The deserving winners had come out on top in an absolutely fiercely competitive news year, which included finalists from interstate and all major metropolitan newspapers and television and radio networks; international journalists and photographers as well as artists and photographers from regional newspapers and radio networks throughout NSW, including the Hunter, western NSW and northern rivers areas as well as the Riverina. “In a bumper news year the standard of submissions was exceptional in every category. As in previous years, in some categories it took judges long hours to finally sort out the winners from absolutely talented fields, some of which had more than 50 entries,” Mr Dulhunty said. So Markson follows twitter, ignores True Crime News Weekly and Independent Australia and ‘wins’ an award for fearless journalism? May I respectfully ask why a journalist can win an award and $25,000 for ‘breaking’ a story which had been published on two independent media sites months earlier and which was common knowledge? hahahahahaha. ‘Fearless’ hahahahahahaaha. Her bosses told her to spike it until after the byelection, and then bring it out for the sweaty clickbait tittilation later. Just to show they could have their cake, and make it twist in the wind too, Well done Rupert and Sharri, faithful servants of transparency and democracy that you are, and not at all liars and propagandists for the greater good of the Rupertocracy. These guys broke the story loooong before. Sharri and the entire News Corp empire tried their best to bury it until they no longer could. Shari Markson’s story was published in the Daily Telegraph 7 February 2018, under the title “Bundle of Joyce”. Serkan Ozturk of true crime weekly broke this story, which was taken up by Independent Australia. Sharri, like the rest of the media covered this up until after the New England by election. Frauds. I read about the Joyce affair on Independent Australia months and months before Sharri published it. Seems the award has gone to the wrong journalist. I guess it helps when the judging panel is stacked to the gunnels with News Corp soldiers, including Miranda Devine herself. I think it’s important when reporting ‘awards’ to look at how they are awarded and by who. This back slapping from journo mates is how the main stream media ended up such a farce in the first place. So who made up the judging panel for the Journalist of the Year Award, in particular, and the other Awards? Can we order a recount on votes for this as something is very wrong here? Forget the naysayers above, your thorough and well balanced pieces are why you won the award. Self admiration awards to corporate journalists! may be she could try some real journalism like Eva Bartlet and Vanessa Beeley! NOT well deserved at all. Nothing balanced by her. She held the story off until after the by-election,and as mentioned by others it was revealed previously by two independent on-line news outlets. Don’t let facts get in the way,of lies. This awarding was a fraud. No surprise when the judging panel is stacked is news limited stooges. Makes a laughing stock of the Kennedy Awards, which seem to simply be a Murdoch-SMH love-in. Fortunately, we have the Walkleys.